We offer a wide range of Clean Room Equipments. 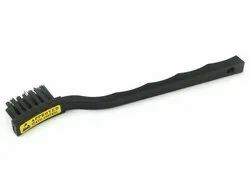 We manufacture a wide collection of ESD Brushes that are available in two types such as Conductive Brushes and Antistatic Brushes. These are available in metal and wooden handle in different width and diameters. Further, to suit the varied requirements of the clients, we can also offer the customized range within committed time frame. We offer a wide range of Disposable Items that includes Disposable Bouffant Cap, Disposable Shoe Cover, Disposable Face Mask, ESD Disposable Shoe Cover and Disposable Antistatic Nonwoven Garment. These provide good ventilation and available in Skid-free soles too. We offer a wide range of ESD Gloves & Booties that are manufactured with conductive fiber with polyester, which protects sensitive devices against ESD damages. Our wide range of Gloves is suitable for normal and less stringent controlled environment and comes with special coating on the palm side to provide better grip while wearing them. Further, the Polyurethane coating on the gloves provides anti-slip and anti-cut. 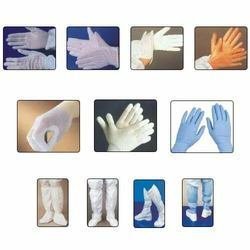 The entire range of these Gloves is lint-free gloves and available in S, M, L sizes and manufactured with PVC, PU material. These can also be manufactured as per the specifications, detailed by our clients.